My husband Keith and I paid off $300,000 in debt in five years. It was not easy. We experienced setback after setback. We were often frustrated and disappointed in our slow progress. But through it all, we never gave up. 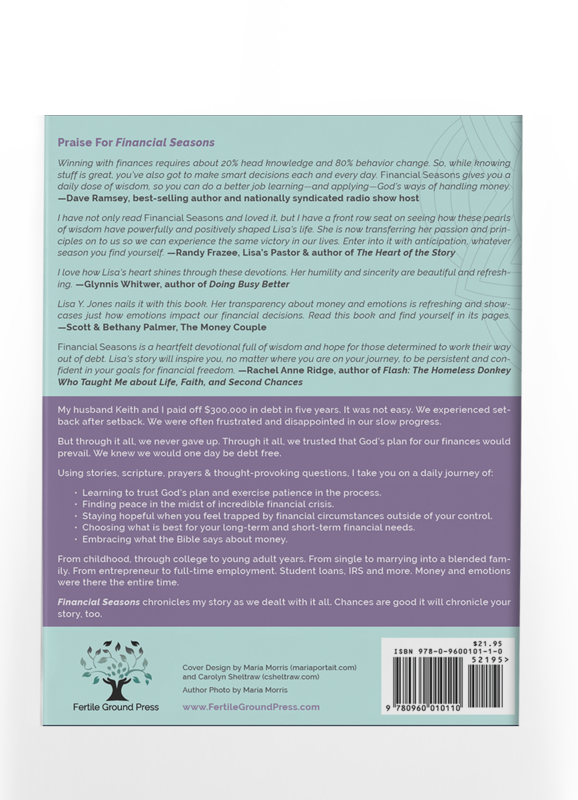 Through it all, we trusted that God’s plan for our finances would prevail. We knew we would one day be debt free. From childhood, through college to young adult years. From single to marrying into a blended family. From entrepreneur to full-time employment. Student loans, IRS and more. Money and emotions were there the entire time. 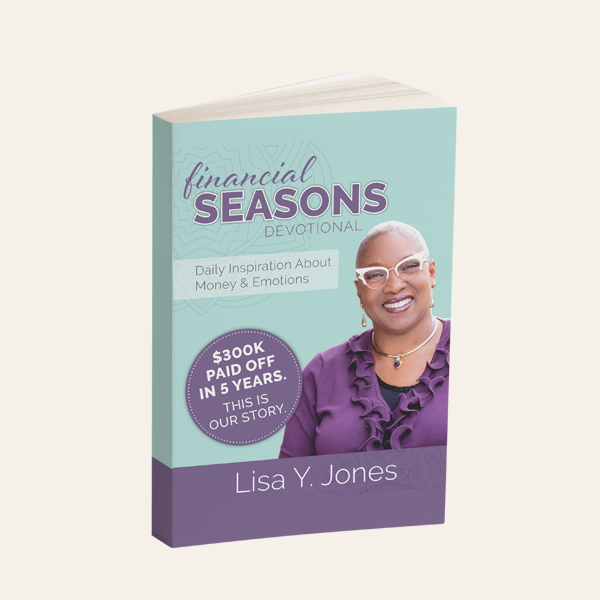 Financial Seasons chronicles my story as we dealt with it all. Chances are good it will chronicle your story, too. Learning to trust God's plan and exercise patience in the process. Finding peace in the midst of incredible financial crisis. Staying hopeful when you feel trapped by financial circumstances outside of your control. Choosing what is best for your long-term and short-term financial needs. Embracing what the Bible says about money. HARDCOVER, PAPERBACK & E-BOOK NOW AVAILABLE!